Like many of you, we are very interested in Old School Runescape coming to mobile devices this year. We have put our heads together and we have come up with a few ways that Old School Runescape coming to mobile is going to affect the game overall. Make no mistake about it, OSRS coming to mobile is a big deal. It is going to be heavily hyped in the run up to its release and we can see just a ton of new players starting their OSRS journey. For many people, this is going to be their first step into the world of Runescape and we think that is very cool. Old School Runescape has one of the largest and most awesome communities. Many people though have left over the years, work, family commitments or just losing interest in the game can all be valid reasons as to why. But we have a feeling that many people who played Runescape on a computer ten years ago and who lost interest will be sucked back in now that they can play it in the palm of their hand while they are at work or just when they have a spare 30 minutes here and there. Runescape Is Going To Get Huge! Ok, so Runescape is already one of the top MMORPG's out there. But we have a feeling that once this goes mobile and the average Joe learns about this game. Runescape's popularity is just going to explode. We honestly would not be surprised if it was a phenomenon like some of these other mobile games that take over the world, games like Angry Birds, Pokemon Go and so on. 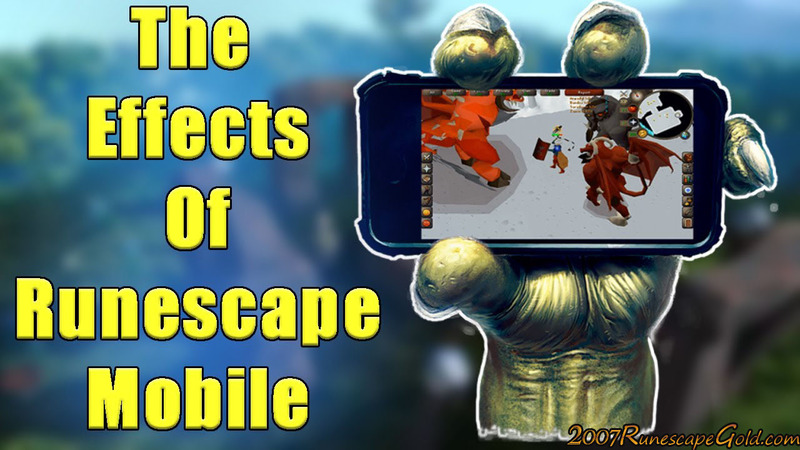 We really do feel that Mobile Runescape is going to be huge and one of the biggest mobile releases of this year. We would love to know if you guys think the game is going to become even more popular with new and returning players.